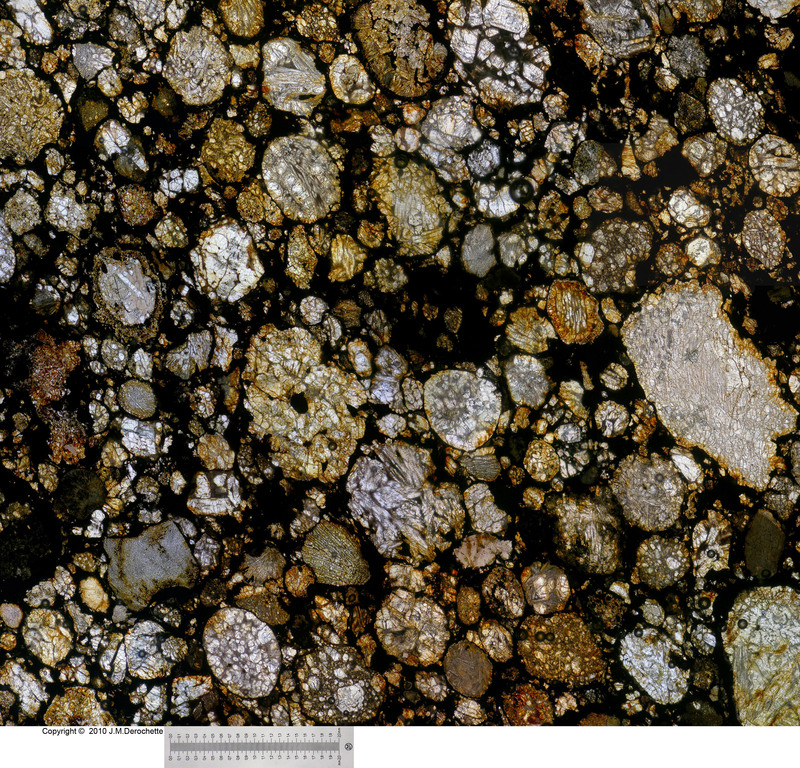 This non equilibrated chondrite exhibits well formed chondrules in a dark matrix. 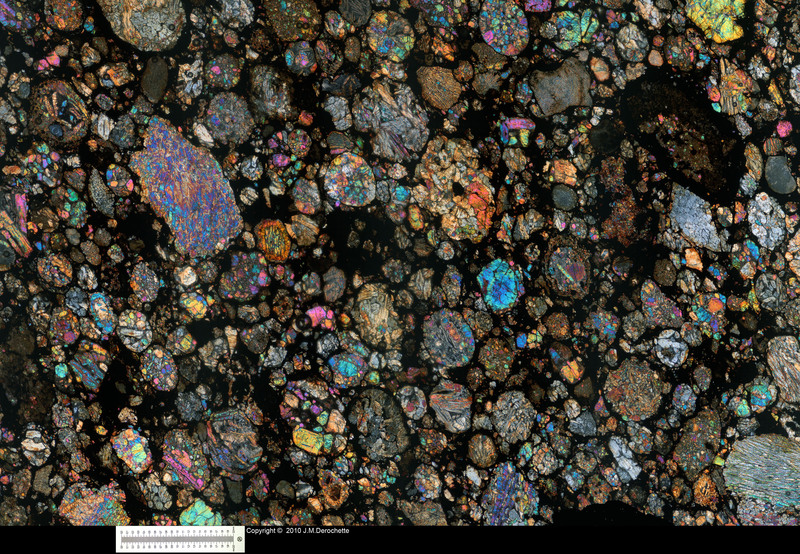 See the crossed polars image below for various kind of chondrules. Thin section, oblique reflected light illumination. 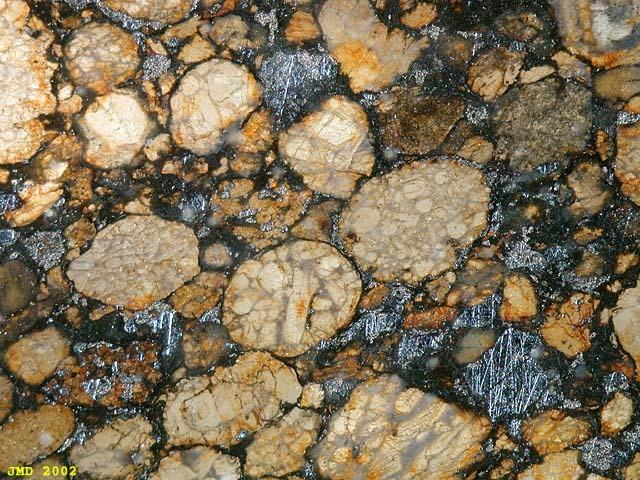 Brilliant Iron metal (not polished) can be seen between chondrules. Olivine crystals more transparent appear brighter in this micrograph. See plane polarized light image.